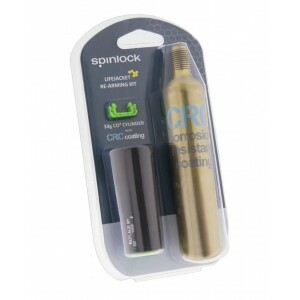 This pack is what you need to rearm the Spinlock Deckvest 150N, Deckvest 5D 170N and Deckvest Lite .. 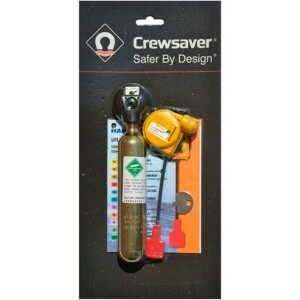 This Hammar rearming kit is suitable for 150N lifejackets fitted with a hammar activation.Check what..
Crewsaver lifejacket replacement capsules for Mk5i Blue Auto Capsule - For automatic lifejackets wit..
For lifejackets with Serial Numbers starting with number 0 to 9 or letter RThe pack includesReplace..
CO2 canister suitable for 150N Crewsaver lifejacketsReplacement CO2 cylinder Supplied with fitting i..
Crewsaver Standard Re-arming Pack, 23g (Junior)For serial numbers starting with L Replacement capsul..
Crewsaver Standard Re-arming Pack, 33g (150N)For serial numbers starting with L Replacement capsule .. 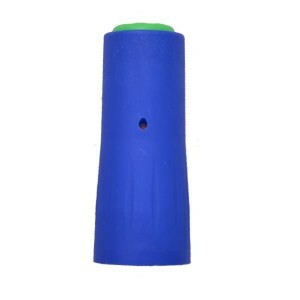 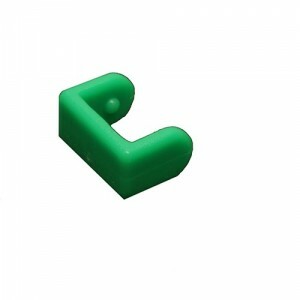 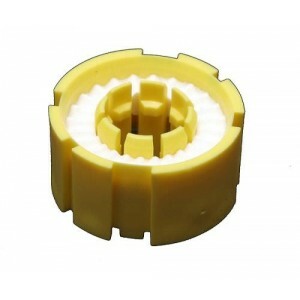 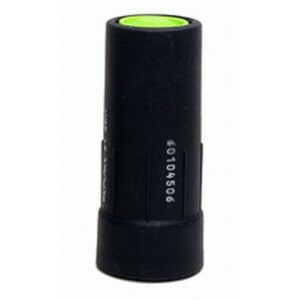 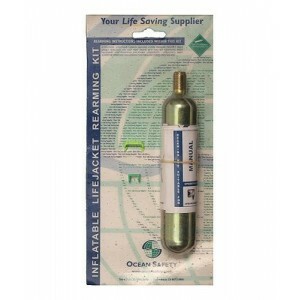 Replacement Halkey Roberts bobbin for automatic activation lifejackets using this device.The Halkey .. 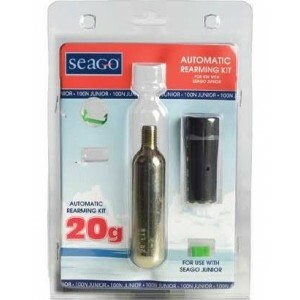 This CO2 cylinder is used to rearm junior lifejackets that have been activated manually. 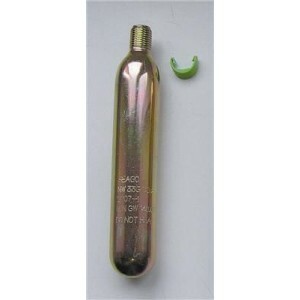 It doesn&ap..
CO2 compressed gas cylinder used for rearming lifejacket. 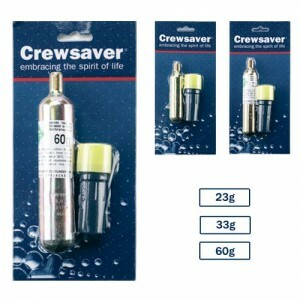 Check on the lifejacket which cylinder it .. 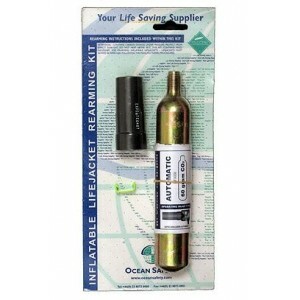 This automatic lifejacket rearming kit has a United Moulder water activation and a 33 gram cylinder .. This automatic lifejacket rearming kit has a United Moulder water activation and a 38gram cylinder n..
Manual Lifejacket Re-arm Pack - 33g for both United Moulders and Halkey Roberts activated lifejacket..
Manual Lifejacket Re-arm Pack - 38g for both United Moulders and Halkey Roberts activated lifejacket.. 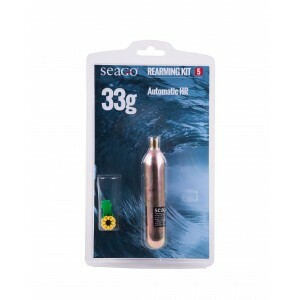 Kit contains:33g CO2 cylinderUM automatic cartridgeLever arm clipFull fitting instructionsSuitable f..
Genuine Seago re-arming kit for junior automatic lifejackets Kit contains:20g CO2 cylinderUM automat.. 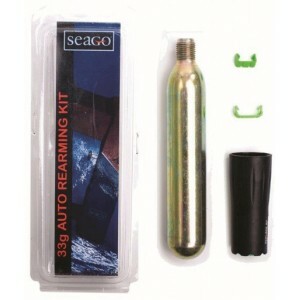 This kit will allow you to rearm the Seago Olympic Plus lifejackets and the 180N Classic Automatic l.. 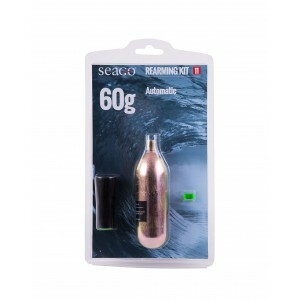 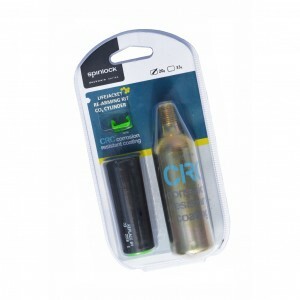 The kit contains:One 60g CO2 cylinderone green clipone United Moulders cartridgeThe 60g automatic re.. 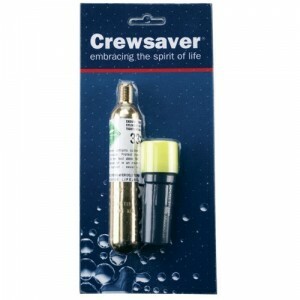 The kit contains:33g CO2 cylinderLever arm clipFitting instructionsSuitable for lifejackets manufac.. 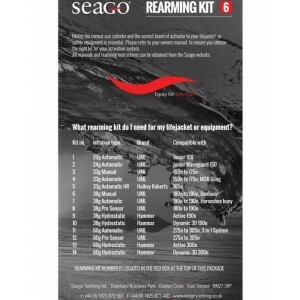 The kit contains:1 38g CO2 cylinder,1 green clip.This rearming kit is suitable for the Seago classi..
Manual conversion kit for UML inflation systemsSuitable for: Deckvest Pro Sensor and Deckvest LITECo.. 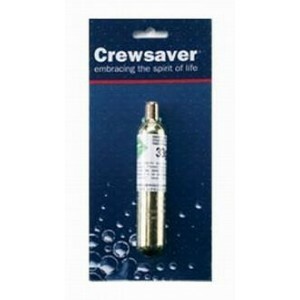 The United Moulders (UM) lifejacket inflator uses a screw on cartridge and activates when it comes i..